P Series is a long fibre thermoplastic (LFT) pellet made from high-strength carbon fibre and is suitable for injection moulding of complex parts. Teijin is currently accelerating its development of applications for carbon fibre thermoplastic composites in promising markets, including automotive. In 2011, the company developed the three intermediate materials and technology for the high-volume production of carbon fibre thermoplastic components in a cycle time of less than 1 minute (see Teijin establishes mass production technologies for carbon fibre composite). Teijin is currently working with General Motors and other car makers to develop carbon fibre composite technologies for the mass production of lightweight vehicles (see GM and Teijin collaborate on carbon composite automotive technology). The Teijin Group, headquartered in Japan, aims to become a global leader in the development of products incorporating carbon fibre composites, targeting annual sales of 150-200 billion Yen (US$1.5-2 billion) by around 2020. 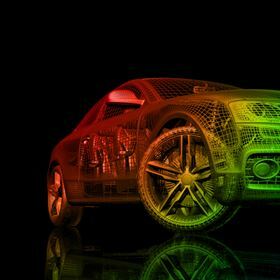 Carbon composites and cars – technology watch 2012. The Teijin Group says that it will participate in China Composites Expo, Asia's largest composites show, taking place in Shanghai from 6 to 8 September.